we can only achieve things holding a positive mindset. We know that when we first tackle the mindset, the rest becomes irrelevant; so simple is life, so beautiful, so natural. It all falls into place. The seed is planted. Now we take care of it and with great passion we let it grow. That's how we care for you at the Rhythm Of Nature. With pleasant surprise we deliver to you gifts from Mother Nature. And we do it in the best way...in food, in spirit and in love because your health is precious. Our mission is to bring in all elements that are health related, together, in harmonious balance with a mixture of fun,physical activity and great spirit. We sow the seeds of intense hard work, coming down from the generations before us. We love what we do and we do it with great love. We sing the song of life with pure passion in our hearts; with dedication & joy, we keep on sowing. 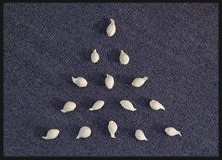 Some seed can fall on rocks; some seed can be carried away by the wind or eaten by the birds. Yet the seed of love & gratitude propagates success. It stands the test of time. It endures the cold of Winter & beats the heat of Summer. Now reborn, celebrating life; dancing to The Rhythm Of Nature. We deliver the best of us to make the best happen. directing energy to all parts of our self ... simple active ways with amazing results.